Our firm has been in business since 1929 when it was founded by Raymond B. Morrissey. Raymond died in 1979. Raymond's son, Thomas L. Morrissey, joined the firm in 1960. Bruce Dalluge joined the firm in 1983. 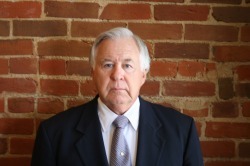 Tom's Grandson, Benjamin Beethe, joined the firm in 2008. Tom, Bruce and Ben are all active in the Firm's practice. Thomas L. Morrissey was born in Tecumseh, Nebraska. He graduated from Tecumseh High School in Tecumseh, Nebraska. Thomas currently resides in Tecumseh, Nebraska. Thomas L. Morrissey has practiced law in Tecumseh, Nebraska for 57 years. He has 16 years experience as a prosecuting attorney. Thomas has extensive real estate and probate experience. Nebraska County Attorney's Association, past President; Tecumseh Chamber of Commerce, past President; Tecumseh Kiwanis Club, past President; Tecumseh Country Club, past President; Nebraska State College Board, past President; past Tecumseh City Attorney; past Johnson County Attorney; Nebraska Land Title Association; Notary Public; Tecumseh Civic Club. Bruce Dalluge was born in Lincoln, Nebraska. He graduated from Pawnee High School in Pawnee City, Nebraska. Bruce currently resides in Tecumseh, Nebraska. He is very active in his community and has coached youth baseball, football and basketball for over 34 years. He is currently the President of the Tecumseh Community Club, Treasurer of the Johnson County Development Corporation, and Director of the Tecumseh Community Foundation. Bruce was named the Tecumseh Volunteer of the year for 2011. Bruce has extensive Municipal Law experience having been involved in Municipal Law issues for over 25 years. He is a licensed real estate Title Insurance Agent and routinely represents sellers and buyers in their real estate transactions. Bruce handles juvenile, and domestic relations cases and helps clients with their estate planning needs. Bruce has represented clients in the County Court, District Court and the Supreme Court of Nebraska. Nebraska State Bar Association; Southeast Nebraska Bar Association, past president; Tecumseh Community Foundation, Director; Johnson County Development Corporation, Treasurer; Tecumseh Community Club, President; Tecumseh Country Club, past Director; Nebraska Title Insurance Agent; Notary Public. Benjamin Beethe was born in Tecumseh, Nebraska. He graduated from Tecumseh High School in Tecumseh, Nebraska. Benjamin currently resides on a farm south of Tecumseh. Benjamin has gained valuable experience while interning with the Federal Public Defender for the District of Nebraska. He also received the highest grade in Law School for Post Conviction Remedies and has done very well in his criminal law classes. 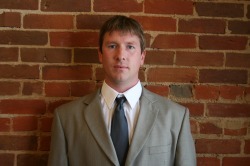 Ben as been with the firm since 2008 and also is currently the Deputy Johnson County Attorney. Nebraska State Bar Association; Notary Public; Past President of Tecumseh Chamber of Commerce.